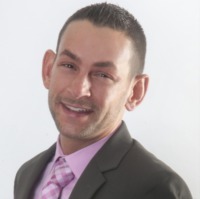 Jared Leshner has been with Champagne & Parisi Real Estate since it's very first day, and to this day, is continuously one of the top producers within the brokerage. Over the last decade, Jared has built a successful real estate business throughout the South Florida Real Estate market from West Palm Beach down to Miami earning him numerous awards and honors including being named a member of Who’s Who in Luxury Real Estate, being named Winner of Top Agent Magazine’s Rising Star award and having been nominated for Forbes’ Top 30 Under 30 for multiple years in a row. Since joining Champagne & Parisi in 2011, Jared has worked to build a detailed and loyal Investor Portfolio, as well remaining heavily involved with the everyday public, working with Buyers, Sellers and Renters on a daily basis. Jared and the members of The JL Team of Champagne & Parisi Real Estate are the Real Estate professionals you want working for you, and we look forward to assisting you with any and all of your real estate needs!